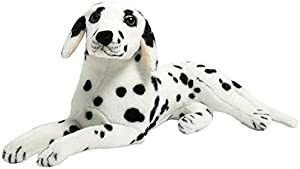 BEJOY Realistic Dalmatian Stuffed Animal Dog Soft Plush… | FreebieOrBust Freebies! We have a new sweepstakes! Join Amazon Giveaways for access to the best sweepstakes deals available online. BEJOY Realistic Dalmatian Stuffed Animal Dog Soft Plush Puppy Toy for Kids 17 inches. Once you enter, you have a 1:800 chance of winning. There are a total of 1 prizes available. Giveaway hosted by Amazon and BEJOY. Join today and gain access to thousands of sweepstakes deals! Make visiting our platform part of your morning ritual, and stand a chance to win big!